Join us in Grangegorman for Culture Night 2018! This year, we have a jam packed programme of activities through ‘…the lives we live’ Grangegorman Public Art programme. From 4pm – 8pm we will have exhibition tours, demonstrations, display, performance, short film screenings and the launch of the Crocosmia × project – all taking place across the Grangegorman campus. 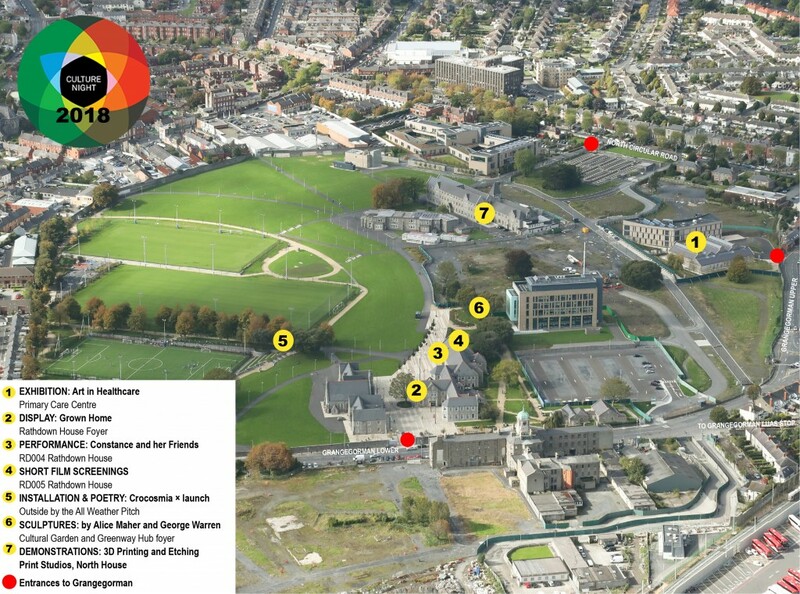 The closest public transport is the Grangegorman Luas Stop on the Green Line.Culture Night Bus Route D is also an option as it drops people off in nearby Smithfield – a 10 minute walk from the Grangegorman campus on Grangegorman Lower. See here for our event map. Click to enlarge.